I passionately believe that each of us deserves to understand and be able to communicate our value. Our value is our DNA, be it a company, organization or individual. It is a gift which drives an internal and external state of mind that guides direction, motivation and opportunity. My heart beats and thoughts flow everyday to help others actualize their value and leverage it for unbridled success and happiness. Yet the current cadence of how we communicate value is based greatly on our career and “what we do.” Do people truly care what we do or what our job title is? Or do they really care about the impact of what we do? This question drove me to develop a process which unlocks a path to deeply understand individual and organizational Value; and then provide a system based on 5 questions to communicate that value with tremendous authenticity. By titles, my background include entrepreneur, culture builder, brand communicator, marketer, and leader. 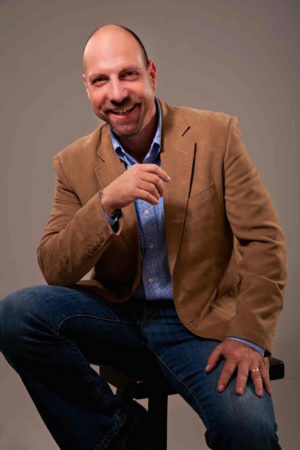 This experience ranges from leading the marketing and brand communication and culture efforts in the corporate and nonprofit arenas, to serving as a brand spokesman for companies such as Home Depot, the National MS Society Publix Supermarkets and numerous automotive dealers across the country. I’ve been fortunate to have written, produced and/or been the voice and on-camera talent for over 12,000 TV and radio commercials as well as hosted live events and been a presenting speaker in front of audiences of more than a half a million people. But what is a job title without understanding impact? So I created Value Mapping™ and our impact is enlightenment, engagement, direction, efficiency, growth, success and happiness. If you’re still reading, I’ll share that I am blessed to be part of incredible family which includes my amazingly awesome wife Dawn and three children; Tasha, RC and Dylan. I currently live in Jacksonville, FL and West Linn, OR.